The Wisconsin Timber Rattlers have been named as the recipients of the Midwest League’s 2014 community service award. The league award means that the Milwaukee Brewers affiliate has been nominated for the national John H. Moss Award. The Timber Rattlers are in a pool of nominees that includes teams from other participating leagues in the National Association of Professional Baseball League. The John H. Moss Award will be presented at the 2014 Baseball Winter Meetings in San Diego on Sunday, December 7. 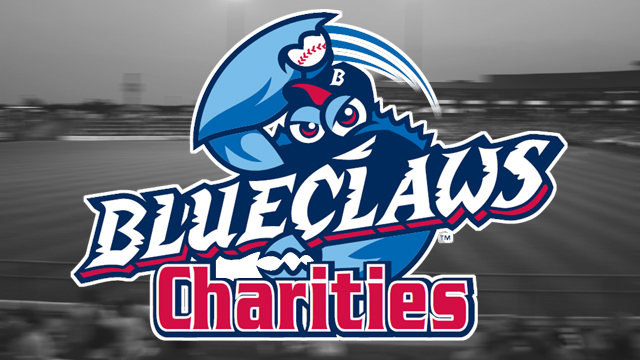 The Moss Award is presented to a Minor League club for their ongoing commitment to charitable service and their support and leadership within the community and the baseball industry. Charitable initiatives undertaken by the Timber Rattlers include: Fang’s Reading Program, a school-based program that provides children from kindergarten through fifth grade with incentives to reach reading goals; The annual Golf Outing that supports Miracle League of the Fox Valley, an organization for children with cognitive or physical disabilities; Ballpark Community Garden, a vegetable garden on the stadium grounds which sends the produce to St. Joseph’s Food Program; and STEM in Sports, a partnership with Time Warner Cable to use baseball to help introduce science, technology, engineering, and math to area schoolchildren. The Timber Rattlers have also worked with Coats for Kids, Big Brothers/Big Sisters, Strike Out Cancer, the Leukemia & Lymphoma Society, and many other local and national charities. The John H. Moss Award is named after the former South Atlantic League president, who founded the circuit and presided over it for a half-century from 1959-2008. The Dayton Dragons will host a Human Services Fair on the plaza outside Fifth Third Field from 2:30 p.m. to 4:30 p.m. on Sunday, August 24. The event will help raise awareness about Montgomery County’s Human Services agencies and provide more information about the specific services delivered by the agencies and related non-profits. Visitors to the Human Services Fair on the plaza (prior to the Dragons game vs. Great Lakes) can browse 30 booths for more information about the work of Children Services; Developmental Disabilities Services; Public Health-Dayton & Montgomery County; and Alcohol, Drug Addiction and Mental Health Services (ADAMHS) as well as key senior services, the Job Center and selected social services delivered by non-profit agencies. Fair booths will include volunteers from United Way of the Greater Dayton Area; Sinclair Community College Fast Forward; Alzheimer’s Association; Big Brothers Big Sisters of the Greater Miami Valley; Center for Alcoholism and Drug Addiction Services (CADAS); Catholic Social Services of the Miami Valley; Suicide Prevention Center; Clothes That Work; Rebuilding Together; Dakota Center; Stillwater Center; Daybreak; Family Services Association; Homefull; Nova Behavioral Health; Parity, Inc; Places, Inc.; Project C.U.R.E., Inc.; Samaritan Behavioral Health; Senior Resource Connection; and United Rehabilitation Services of Greater Dayton. Montgomery County voters will vote on a Human Services levy this November 4. Based on recommendations by the Human Services Levy Council, Montgomery County Commissioners placed a renewal of an existing Human Services levy plus an increase of 1 mill on the November 4, 2014 ballot. If voters pass the levy request, the owner of a home valued at $100,000 would pay an additional $3 per month. “Right now, displaced workers are getting the valuable help they need at the Job Center and thousands of children are receiving immunizations, counseling or care because of this critical human services funding,” said Montgomery County Commissioner Debbie Lieberman. 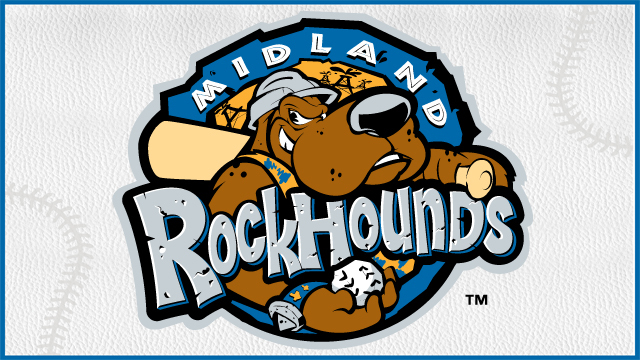 For more than four decades, the core commitment of the RockHounds franchise has been to provide West Texas families with fun and entertainment throughout the summer and offer a place for the community to gather in fellowship through the game of baseball. This mission, however, is not restrained by the physical boundaries of Security Bank Ballpark. Rather, the impact of the organization is felt throughout the Permian Basin, as the franchise remains a vanguard of community stewardship in the region. Since the RockHounds’ Opening Day (April 3), the team has donated more than $65,000 to local charities. The Club has established strong partnerships with several prominent groups, such as the YMCA, United Way, Gifts of Hope, High Sky Children’s Ranch, and Big Brothers Big Sisters of Midland. Additionally, the team incorporates new organizations into its philanthropy each year. During the RockHounds’ regular season, the team hosts several annual events that benefit local charities and civic organizations. The highlight of these, for many, is the Summer Concert Series eve nt, which brings a country music star to the ballpark for a live concert; past performances at Security Bank Ballpark have included Dierks Bentley, Eli Young Band, and Brad Paisley. The chart below outlines the RockHounds’ primary cash contributions this summer; it does not include in-kind and other forms of charitable giving. 90-minute Softball Game to Be Followed by IronPigs Game at 6:35 p.m. The Allentown Police and Fire Departments will square off in a 90-minute softball game at 4 p.m. on Saturday, April 26, as the IronPigs pay tribute to local police, fire and EMS personnel with a very special, promotion-stuffed Heroes Night at Coca-Cola Park. 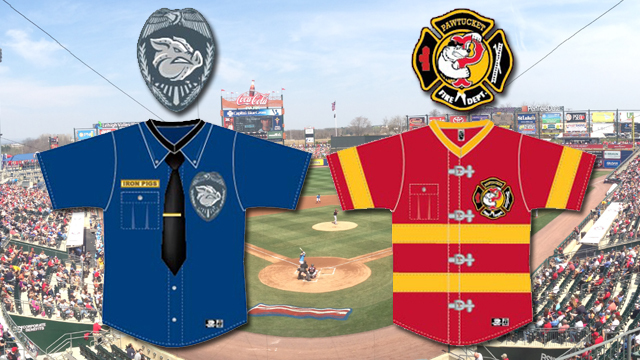 Both the IronPigs and Pawtucket Red Sox will join in on the festivities during their 6:35 p.m. game that night by donning unique specialty jerseys that promote local Police and Fire Departments. All gates open at 4 p.m. on Saturday, April 26, but fans are reminded that they must have a ticket to the IronPigs-Red Sox game to gain admittance to Coca-Cola Park for the earlier softball contest. The specialty jerseys will be auctioned off during that night’s game with proceeds benefitting the Allentown Police Athletic League, the Big Brothers Big Sisters of the Lehigh Valley and IronPigs Charities. Heroes Night will also allow fans the opportunity to honor the local police, firefighters, EMS personnel, and military members who serve and protect the Lehigh Valley and the entire nation, in a pre-game on-field ceremony. As part of the Heroes Night activities, the Color Guard ceremony will be performed prior to the game by the Allentown Police. As an added bonus to all fans in attendance on Heroes Night, there will be a special post-game fireworks show featuring patriotic music presented by Lehigh Carbon Community College. IronPigs and Red Sox fans can bid on their favorite player’s jerseys from anywhere with the easy-to-use Qtego service that allows fans to place bids, receive notifications when outbid and check the status of their item via text messages on their mobile phones. Fans without texting access can even call in their bid after registering their phone at Coca-Cola Park. Register your phone from anywhere in the U.S. by texting “Pigs” to 79230. Detailed instructions on how to place your bid will be made available at ironpigsbaseball.com on April 25. Winning bidders of the IronPigs home jerseys will have the opportunity to go on the field immediately following the game to have their jersey autographed. Please note that the on-field jersey signing will only occur with the home team jerseys. Bidders not in attendance at Coca-Cola Park can either pick up their signed jersey at a later date or have it mailed directly to them. Great seats are still available for this game and all upcoming games and can be purchased in-person at Coca-Cola Park (Monday-Friday 9 a.m. to 5 p.m.; Saturday 10 a.m. to 2 p.m.), by calling (610) 841-PIGS (7447) or online at ironpigsbaseball.com. Make sure to inquire about some of our newest seating areas, including the “Hot Corner” and the “Bacon Strip”, which offer IronPigs fans the most unique and distinctive seating and hospitality areas in all of Minor League Baseball. Fans are reminded that there are three entry points for parking and are encouraged to use the Dauphin Street entrance when traveling from downtown Allentown. In addition to the Dauphin Street entrance, entry to Coca-Cola Park can be gained off American Parkway and Union Boulevard. Preferred/Handicapped Parking access is available via American Parkway only. RENO, Nev.–The Reno Aces Foundation, in partnership with leading US toy company JAKKS Pacific, Inc. (Nasdaq: JAKK) will distribute 15,000 toys over the next month to underprivileged and deserving children throughout Northern Nevada, the Reno Aces Baseball Club announced at a press event this morning. 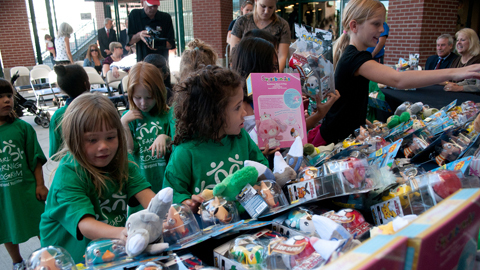 The toys will be distributed to children through various non-profit organizations in the Reno-Sparks area, including Renown Children’s Hospital, Big Brothers Big Sisters of Northern Nevada, Volunteers for America, Boys and Girls Club of Truckee Meadows, Children’s Cabinet, Salvation Army and the Committee to Aid Abused Women. US. Foods, one of the nation’s leading foodservice distributors, has partnered with the Aces and JAKKS Pacific to aid in the storage, delivery and distribution of the toys. 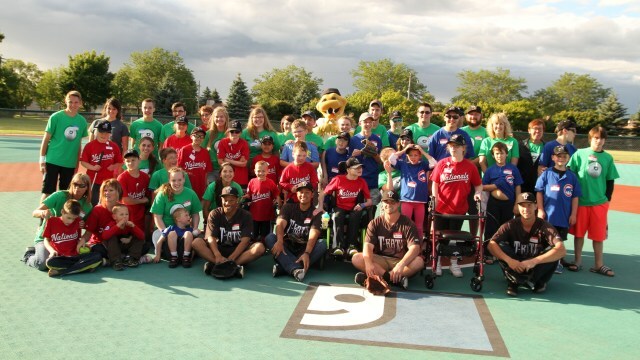 The Reno Aces Foundation, the nonprofit division of Northern Nevada’s first Triple-A Baseball franchise, seeks to use professional baseball as a vehicle for making a positive impact within the communities that comprise Northern Nevada and the surrounding region. The foundation focuses its efforts on supporting youth and family initiatives. Through providing unique experiences, underwriting unmet expenses and using professional baseball as a channel to accomplish greater goals, the Reno Aces Foundation is dedicated to making a difference in the lives of people throughout the region. JAKKS Pacific, one of the top five United States toy companies, is a California-based company that has been designing, developing, producing and marketing toys and consumer products for children and adults around the world since 1995. JAKKS Cares is the philanthropic arm of JAKKS Pacific and since inception has donated over $50 million in toys, school supplies and monetary endowments to millions of underprivileged children around the world. 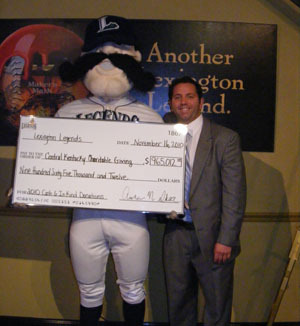 This article originally appeared on the official website of the Reno Aces. Click here to view the original story. Harrisburg, PA – What could be more fun than bowling with your favorite Harrisburg Senators player, nothing! The good news for all of you bowlers and just people that enjoy bowling, you’re in luck! On Sunday, July 22, the Senators are Bowling For Kids’ Sake. Following the game that day against New Britain at 2:00 p.m., the Senators head to the Red Crown Bowling Center. The bowling event takes place from 7:00 p.m. to approximately 9:00 p.m. Each participant bowls two games with a player or member of the coaching staff. The cost is $40 per person, $100 for a team of three or $130 for a team of four. The cost includes your shoe rental, two games of bowling, food, and drinks. The event benefits the Big Brothers Big Sisters of the Capital Region. In addition to the bowling, a raffle will take place throughout the event. Each raffle ticket is $2 or a baseball bat length for $20. The list of items is growing and all of the proceeds benefit the Big Brothers Big Sisters of the Capital Region. This event will sell out quickly, so be sure to purchase your tickets quickly for this unique opportunity to spend time bowling with your favorite player! Tickets are available online here or by phoning the Harrisburg Senators at 717-231-4444 and asking for Emily Winslow. Tickets for Senators’ games are available on game days 10:00 a.m. until the end of the game, and Sunday from 9:00 a.m. until the end of the game. Box office hours on non-game days are Monday through Friday, 10:00 a.m. to 5:00 p.m., and Saturday from 10:00 a.m. to 2:00 p.m. Tickets are available via telephone during the same hours as the box office hours. Tickets are also available 24 hours a day, 7 days a week, online at www.senatorsbaseball.com. 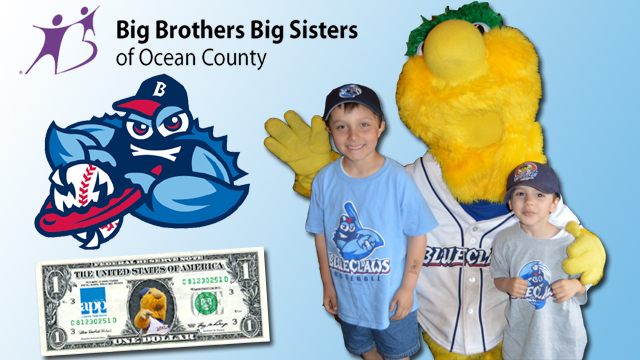 Salem, VA (February 1, 2012) – The Salem Red Sox, Advanced Class-A affiliate of the Boston Red Sox, will donate $3,159 to the Big Brothers Big Sisters of Southwest Roanoke, a non-profit organization that provides mentoring organizations serving children, their families, and communities. Since its inception in 1904, Big Brothers Big Sisters operates in all 50 states and 13 countries around the world.On Thursday, January 26, 2012, the Salem-Roanoke Baseball Hall of Fame held their annual banquet at the Salem Civic Center. The Salem Red Sox held an auction during the event with items donated from local restaurants and businesses, along with national organizations and sporting teams. Items included tickets to a Boston Red Sox-New York Yankees series, as well as local area gift cards, and various baseball memorabilia. Guest speaker, Billy Sample, a Salem native, was in attendance to show support for the four inductees and the cause. “The Salem-Roanoke Baseball Hall of Fame Banquet and induction ceremony was a wonderful opportunity for Big Brothers Big Sisters of Southwest Virginia. We appreciate the great generosity from the auction proceeds and the support of the Salem Red Sox and all those who made the event very meaningful for us!” stated Marguerite Hansell, Fund Development Associate with Big Brothers Big Sisters of Southwest Virginia. All of the proceeds from the auction went to benefit Big Brothers Big Sisters of Southwest Virginia. For more information about the Salem Red Sox’ various fundraising programs, visit our fundraising page. 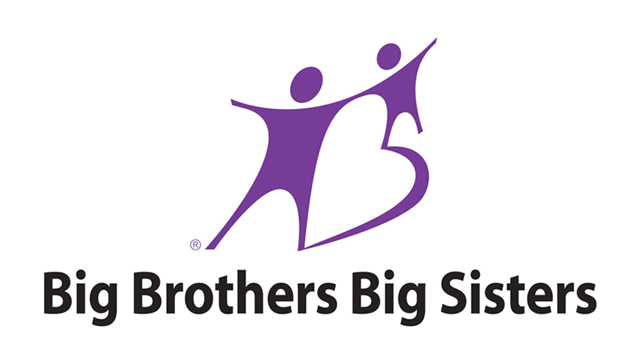 Big Brothers Big Sisters of Southwest Virginia is an affiliate of Big Brothers Big Sisters of America, the largest and most successful national network of mentoring organizations serving children, families, and communities. Our mission is to help children in southwest Virginia who are facing adversity fulfill their potential through strong and enduring professionally supported, one-to-one mentoring relationships that provide a measurable impact and change their lives for the better. Big Brothers Big Sister of Southwest Virginia currently supports over 350 Big and Little matches. The money that is raised and donated to Big Brothers Big Sisters of Southwest Virginia goes to supporting our matches in southwest Virginia. For more information visit www.bigslittles.org. This article originally appeared on the official website of the Salem Red Sox. Click here to view the original story.